College dorm headboards are a popular college item as they can be a part of your Twin XL bedding and your dorm decor. 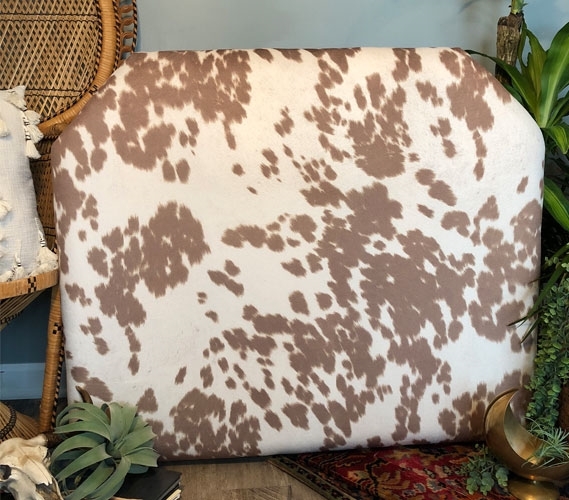 Adding a dorm headboard to your Twin XL bed is easy with the Cow Hide Beige College Headboard. 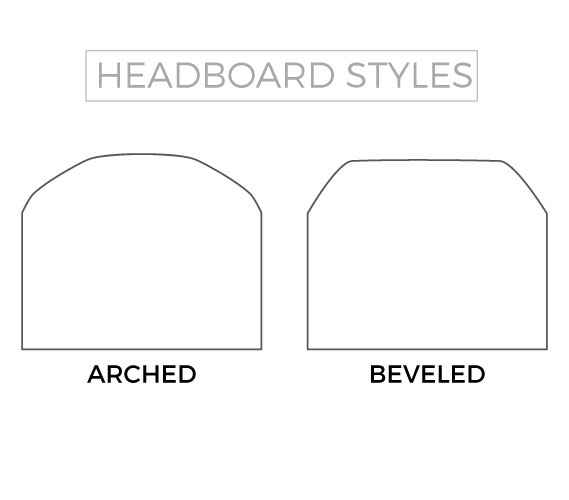 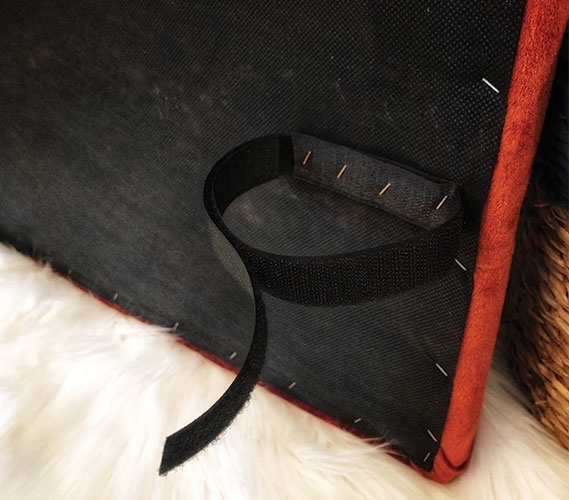 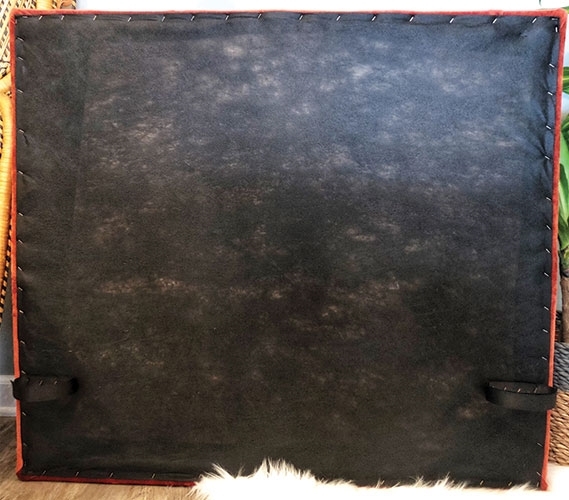 You can secure this stylish and sturdy college headboard directly to your extra long Twin headboard using the velcro straps. 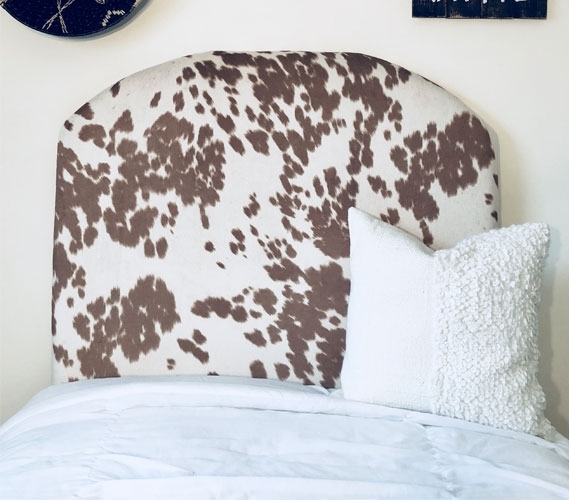 Such an easy process can quickly turn your blank dorm room into a space that feels like home. 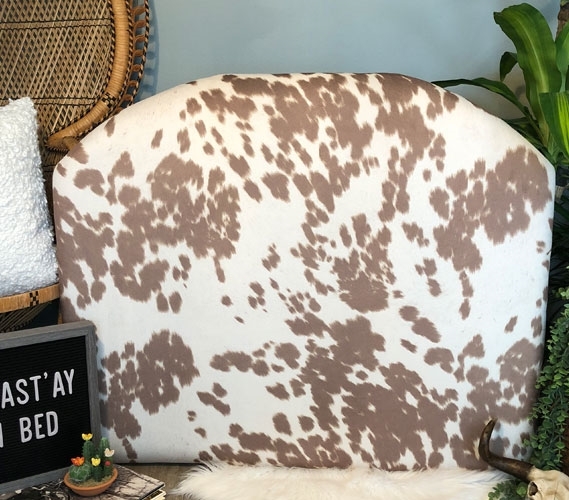 Your Twin XL bedding will most likely be the center of attention in your college dorm room, so it is crucial that it looks just right. 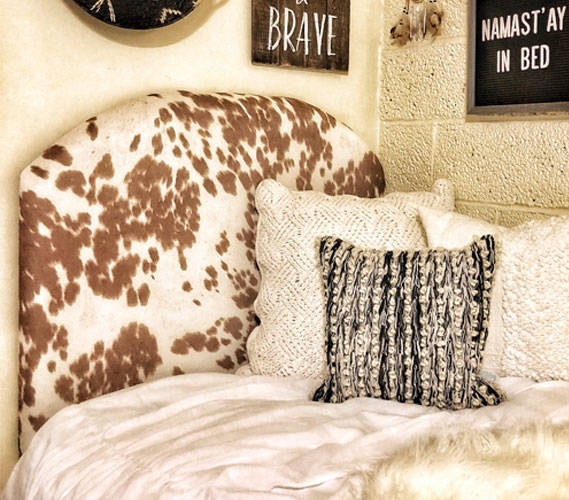 Neutral Twin XL bedding is a great way to harmonize the look of your college dorm room. 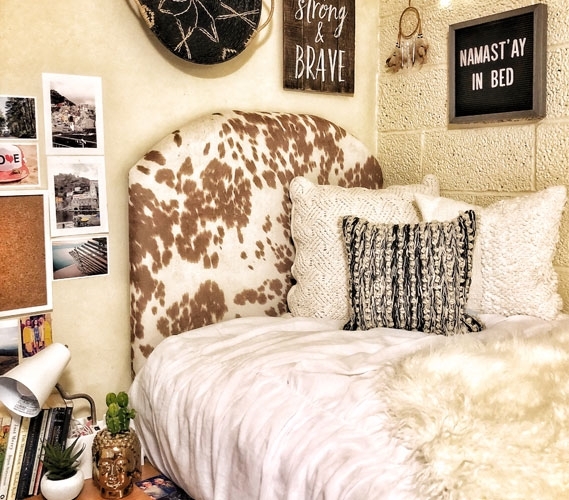 White and beige college bedding can easily blend in to the rest of your dorm decor. 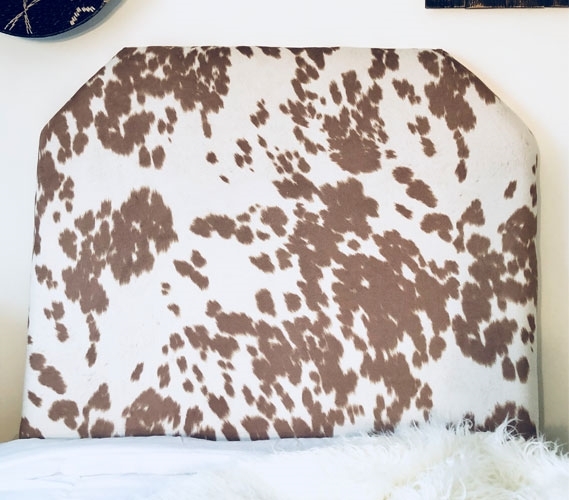 This animal print college headboard blends neutral beige and white colors to create a piece of dorm decor and Twin XL bedding that will easily blend with the rest of your dorm room while still making a statement.